Hotstartsearch.com is a malicious threat and that may change settings within the web browser application such as Google Chrome, Mozilla Firefox, internet Explorer. Here we are giving you proper guide How to Remove hotstartsearch.com Search Page ? (Removal Tool). It comes into your computer via free software packages. Once hotstartsearch.com is installed into your computer, it will change your browser homepage and default search engine to hotstartsearch.com without your permission. It will create a shortcut on your desktop and set on your Windows startup menu. HotStartSearch.com will display advertisements and sponsored links in your search results. It can perform his task with all versions of Windows, including Windows XP, Vista, Windows 7 and Windows 8. After getting this unwanted program in your computer, you may be found your computer and internet speed become slow than usual. It will redirect you to in other unknown web sites. Hotstartsearch.com is able to change your registry files and firewall settings also. Hotstartsearch.com redirect can get itself installed successfully. Generally, it comes into your computer via free software packages from internet and when you visit on some other malicious websites. So you should always pay attention when you download a free software packages from internet. You should not download any software from unknown source. Hotstartsearch.com is not a malicious program itself and you may not say it virus. However it is classified as a browser hijacker and “PUP”, (Potentially Unwanted Program). It comes into your computer without your permission and performs some unwanted task. Download Adware Remover Tool v3.6 to remove Hotstartsearch.com Automatically from all of you browsers, This is a Freeware utility specially deigned for Adware Removal. This tool can remove adware from Internet Explorer, Firefox, Mozilla Firefox and their registry as well..
2. To Remove hotstartsearch.com infection from Windows shortcuts. 3. As above, remove hotstartsearch.com infection from startmenu’s shortcuts. 4. As above, remove hotstartsearch.com infection from taskbar’s Shortcuts. 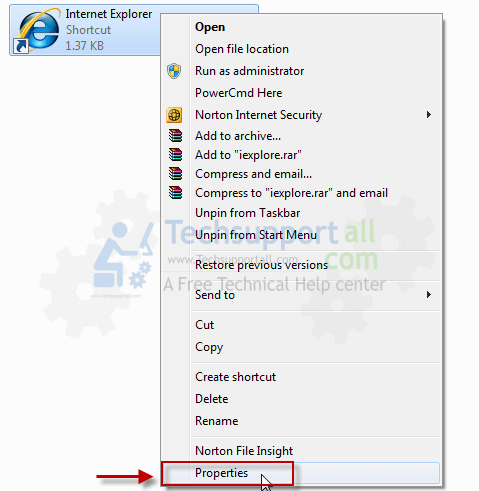 Open Internet Explorer then go to Tools menu (press “alt” key once to active menu bar) and then click on Internet Option a configuration page will be opened, then click on General tab. Now look into under HOME PAGE Edit Box you got www.Hotstartsearch.com, replace it to www.google.com, then click on apply and close. Open Mozilla Firefox, Click on Tools menu (press “alt” key once to active menu bar) then go to Options, after that a configuration page will be opened, then click on General tab and then look on the very first section named as Startup. Under Startup you will see a HOME PAGE Edit Box, under this edit box you will see www.Hotstartsearch.com, please replace it to www.google.com, then click on apply and close. Remove Hotstartsearch.com from Firefox configuration file. Now you will a configuration page with search option on the top, so please type “Hotstartsearch.com” into search bar, you will get the result. 5.3 : When you get it started, click on scan button to search the Hotstartsearch.com files and registry entries (As shown below screenshot). Step 7 : To remove Hotstartsearch.com with Malwarebytes. Hotstartsearch.com website always popping up. How to delete Do-search.com ? What is complitly.com and how to remove complitly.com from PC?